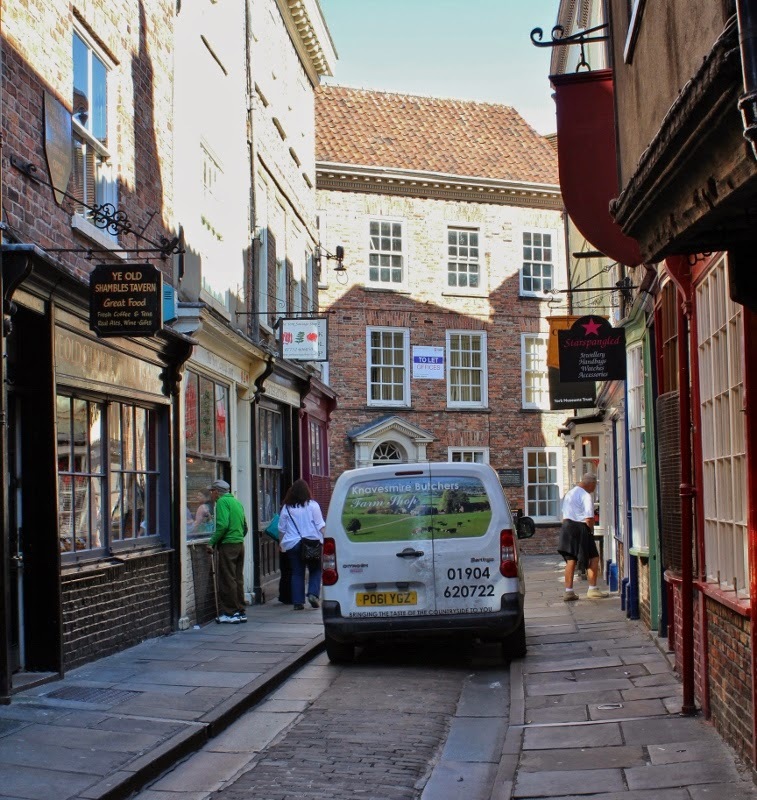 When The Shambles was the street of the Butchers or flesh sellers in the Middle Ages I dare say they had regular deliveries of meat, much as this van is doing today. Probably not as clean and quaint then. He would have to deliver early before the crowds! Yes indeed as you no doubt found out on your visit, it gets pretty busy down here. The Shambles is such a great name for an establishment!